Insertable dividers are designed for laser printers, inkjet printers or typewriters. Durable plastic construction allows frequent reference. Tab inserts from the side provide a large print area and secure fit. 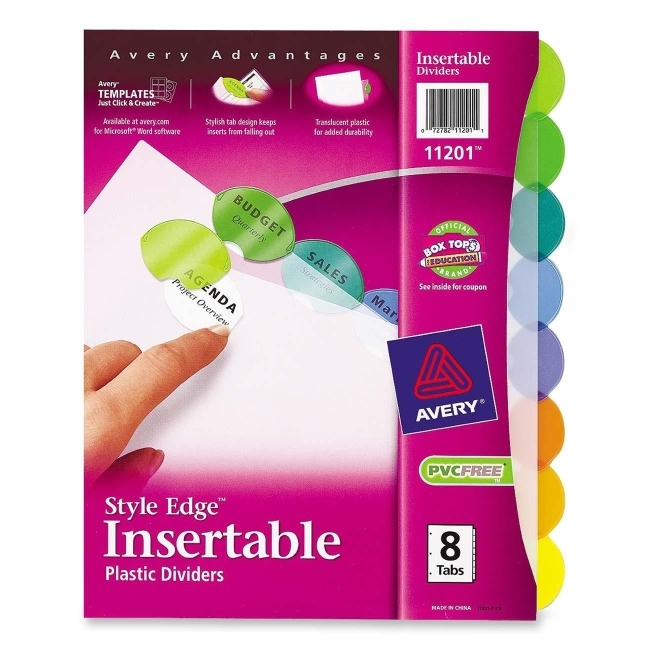 Large tab inserts can be easily formatted and printed using Avery templates, or they can be handwritten. Dividers are three-hole punched for easy insertion in standard-size binders. Plastic is 100 percent PVC-free.